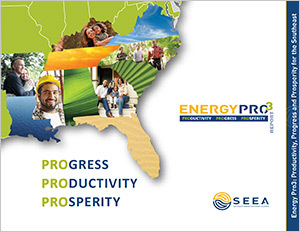 Energy Pro3 is SEEA’s initiative for presenting the story of energy efficiency and the promise it holds for the southeast region (“energy productivity”), for demonstrating the results the 13-city SEEA Consortium achieved from 2010 to 2013 (“progress”) and for highlighting how this Consortium’s work continues to pave the way for sustained economic “prosperity” in the Southeast. To date, SEEA’s Energy Pro3 initiative has generated three seminal reports on energy efficiency investments in the Southeast, all of which are available for download (see below); a conference that focused on utility learnings from these programs; a roadshow to six southeastern cities; and a series of awards that recognized the individuals and groups who have significantly advanced energy efficiency programs and results across the Southeast through 2013. 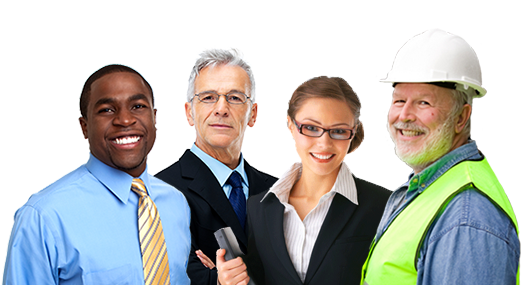 SEEA continues its Energy Pro3 work in 2014 with funding from DOE’s Better Buildings Neighborhood Program. 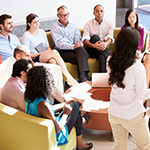 Specifically, SEEA and its partners will develop a series of innovative financing programs that incent home and building owners to make new investments in energy efficiency. For more information on the outcomes of this program, please see the reports below. SEEA’s third and most recent Energy Pro3 report, titled “Benchmarking Job Creation in the Southeast,” provides an independent analysis, conducted by the Cadmus Group, of the job creation impact of DOE’s investment in energy efficiency programs, from 2010 to 2013. Using a hypothetical scenario, Cadmus worked with Impact Analysis for Planning (IMPLAN) v3.1, a widely used and well known software platform for predicting economic impacts, to calculate the job creation results that would have occurred in the Southeast, based on the prevailing economic conditions from 2010 to 2013, had DOE invested in sectors other than energy efficiency. This analysis provides the number of jobs that would have originated from a $1M investment in the trade and services sector; the construction sector; the renewable energy sector; the manufacturing sector; or the energy generation, transmission and distribution sector, in contrast to the actual number of jobs that arose from the energy efficiency investments that were made in the same time period. 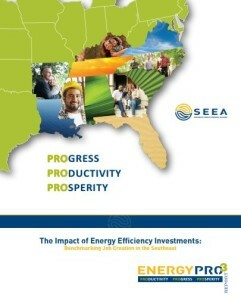 SEEA’s second Energy Pro3 report, titled “The Economic Impact of Energy Efficiency Investments in the Southeast,” provides an independent analysis, developed by the Cadmus Group, of the economic performance of SEEA’s 13-city, U.S. Department of Energy-funded energy efficiency retrofit consortium from 2010 to 2013. To create this analysis, the Cadmus Group applied SEEA’s program data to an economic modeling program called the Impact Analysis for Planning (IMPLAN) v3.1, a widely used and well known software platform for predicting economic impacts. 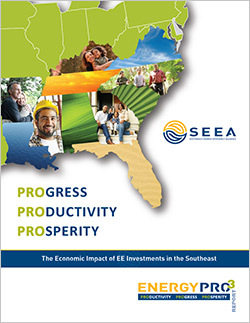 Cadmus then calculated the net impacts of SEEA’s energy efficiency programs on the economy of the southeast region as a whole, and on the economies of the states with participating programs. 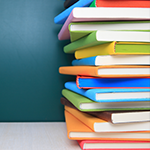 This report provides a detailed overview of the assumptions and methodology used by the Cadmus Group to present a total economic impact summary, as well as job creation impacts and return on investment, by region and by state. Participant states include Alabama, Florida, Georgia, Louisiana, North Carolina, South Carolina, Tennessee and Virginia.